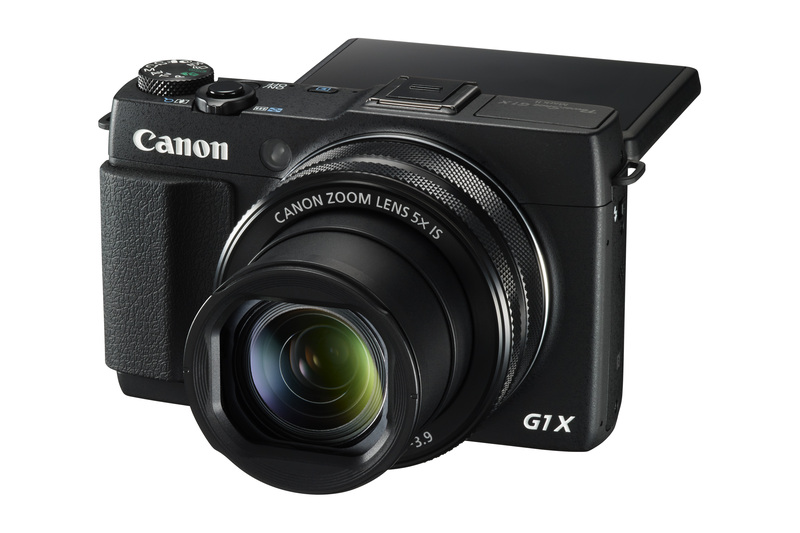 Canon introduced the new PowerShot G1 X Mark II, successor to the popular PowerShot G1 X that is known for being the most premium amongst compact cameras. The PowerShot G1 X Mark II is slated to surpass the capabilities of its predecessor with its heavily packed advanced features and technologies such as the specially-developed large 1.5” type CMOS sensor, a new state-of-the-art large f/2.0 aperture lens, a high ISO speed of 12800, a 31-point AF frame and Canon’s proprietary DIGIC 6 image processor. The camera’s 180-degree upward and 45-degree downward tilt touch screen LCD provides an additional option for users to capture photos from various creative angles. Compact, handy and power-packed with enhanced and advanced functionalities more common in interchangeable lens cameras, the PowerShot G1 X Mark II is the ideal camera to carry around and ensure that you never miss a great photography opportunity. 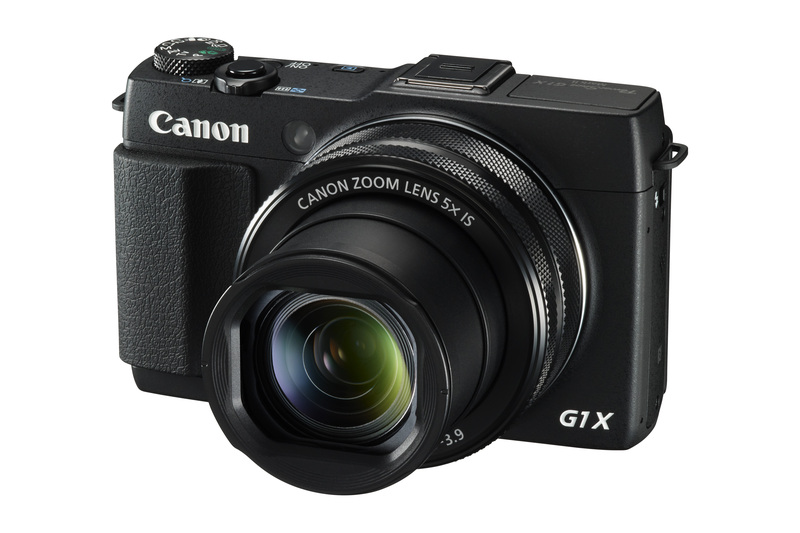 “The PowerShot G1 X Mark II offers enthusiasts superlative performance from a compact point-and-shoot body. Its incredible light gathering ability by the 1.5” CMOS sensor and bright f/2.0 lens ensure brilliant images even under low light conditions.” said Edwin Teoh, Assistant Director for Consumer Business Marketing of Canon Singapore. 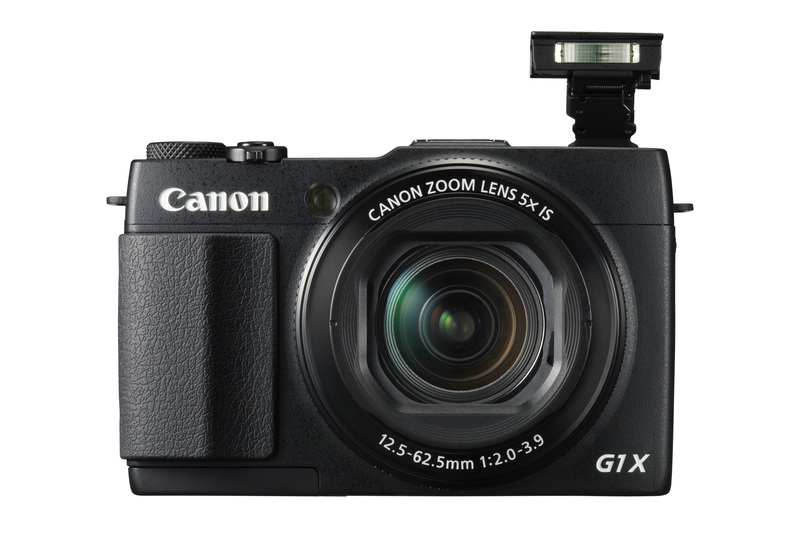 The PowerShot G1 X Mark II features Canon’s large 1.5” type CMOS sensor that delivers a powerful 12.8-megapixel resolution at 3:2 aspect ratio, or a 13.1-megapixel resolution at 4:3 aspect ratio. This multi-aspect ratio allows users to switch between the two different aspect ratios when shooting in RAW mode with minimal loss of image data. This unique 1.5” type CMOS sensor also has an area 4.5 times larger than the standard 1/1.7” type sensor found in most compact cameras which results in images with a breathtaking dynamic range, providing high performance from low to high ISO speeds. To enable the camera to perform its best, Canon combines the benefits of this large sensor with an all-new equally powerful and bright 24mm wide-angle lens that comes with a large aperture at f/2.0. At a wide-angle end of f/2.0 and telephoto end of f/3.9, a lower than f/4.0 aperture can be achieved throughout the entire zoom range (24-120mm). The lens is also equipped with a 5x optical zoom with built-in Image Stabiliser (doubled to approximately 10x optical zoom with ZoomPlus technology). Additionally, the PowerShot G1 X Mark II’s enhanced features also allows for greater opportunities for photographers to explore various shooting modes. Its minimum focusing distance of only 5cm provides users with greater flexibility in exploring macro photography. Also, with a combination of a low aperture value, shorter minimum focusing distance and the 9-blade aperture diaphragm, a dynamic background blur and bokeh effect can be easily achieved. With an improvement in its AiAF frame from 9 to 31 points, the PowerShot G1 X Mark II is able to focus more accurately on subjects over a bigger coverage area. Canon introduces a dual control rings concept with the Step Ring and Continuous Ring on the lens of the PowerShot G1 X Mark II. The inner Step Ring allows for easy adjustments of specific modes such as Shutter Priority (Tv), Aperture Priority (Av), exposure, etc. The outer Continuous Ring located further way from the camera body allows fine focus adjustments for the specific modes assigned to the Step Ring during manual focus. On the Manual Focus (MF) mode, rotating the Continuous Ring with the shutter button half-pressed enables the refinement of the manual focus. Fine tune focusing is enabled without having to switch between the Auto Focus (AF) and MF modes. Hence, in instances when fine-tune focusing is necessary such as in Macro and Portrait mode, Full Time Manual Focus enables focusing to be done quickly and accurately. Pairing with MF Peaking allows an emphasized display on the subject in focus, resulting in a sharper focus. The PowerShot G1 X Mark II operates on Canon’s High-Sensitivity (HS) System and employs Canon’s proprietary DIGIC 6 image processor, together with the new large f/2.0 aperture lens and 12.8-megapixel CMOS sensor. This results in ultra-fast full resolution continuous shooting speed at 5.2 frames per second (fps), excellent image quality with low noise, and natural bokeh effects. The PowerShot G1 X Mark II is also able to capture Full High Definition (HD) videos at 30p in MP4 compression format. In addition, the camera features the advanced Hybrid Auto mode which simultaneously records four seconds of HD video before a photo is captured for a Digest Movie of the entire day’s events. Decisive still images and the movies recorded right before those shots are automatically compiled into a single movie for an integrated photo and video experience. The PowerShot G1 X Mark II features a suite of Star Modes that allows users to explore different creative ways of capturing starlit skies. In addition to the Star Nightscape, Star Trail and Star Time-Lapse Movie modes, Canon also introduced the brand new Star Portrait mode. When activated, the Star Portrait mode has the ability to accurately capture both the subject and a starlit sky in the same shot. Users can also choose to enhance their photos with the Creative Shot function that automatically analyses the scene and recommends five creative filters that best suit the shot from a wide gamut of 46 creative filters. The user can also choose to narrow down the filter from a selection of four themes: Retro, Monochrome, Special and Natural. Sharing images and videos with external devices is made easier with the PowerShot G1 X Mark II‘s built-in Wi-Fi and NFC capabilities. Images and videos can be shared via the Canon CameraWindow app available to NFC-enabled Android devices and users can even control the camera on their smart devices remotely via the same app, thus allowing live image streaming onto the smart device’s screen. Featuring the first Electronic Viewfinder (EVF) in compact cameras, the PowerShot G1 X Mark II’s optional EVF uses a high-precision XGA resolution LCD with 2.36 million dots that allows users to verify the actual image being photographed directly from the naked eye. 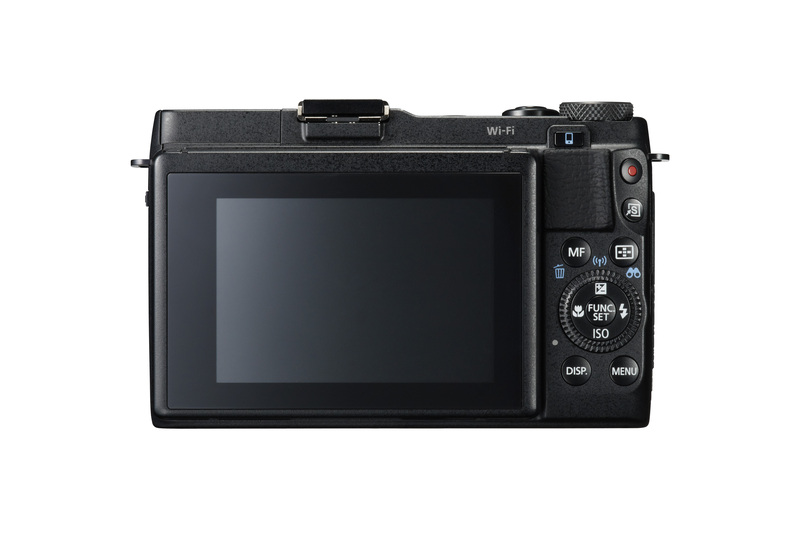 User can choose to attach the optional EVF onto the accessory shoe of the PowerShot G1 X Mark II. A variety of information such as shutter speed and ISO are also displayed through the viewfinder. The EVF also makes it easy to shoot in daylight as it greatly reduces glare when viewing from the LCD screen. An optional customisable handgrip can also be fixed over the camera’s standard hand grip for a better feel.